Boston-based quartet Darlingside burst onto the indie scene in 2010 with their debut EP and have won critical acclaim from the likes of Rolling Stone and the New Yorker. Now they’re back with their third album, Extralife, the follow-up to 2015’s Birds Say. The album opens with the haunting title track, which feels unsettling and mesmerising at the same time – I could quite easily see this soundtracking an incredibly hip film. Then the band’s vocals come in and you see why they’re so renowned for their harmonies, which add an almost choral feel to the song. It’s a delicate, gentle piece of music and oddly reminiscent of the Beach Boys, setting the tone for what’s to come. 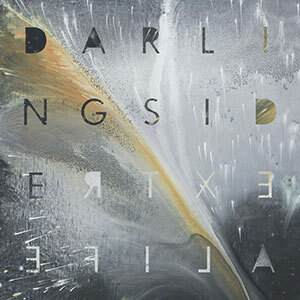 Throughout the album Darlingside draw on a wide range of influences. Tracks like the guitar-driven, Mumford & Sons-esque Singularity and the bouncy rhythm and anthemic chorus of Futures sit alongside the more introspective Hold Your Head Up High, the foreboding, atmospheric Orion and the lullaby-like feel of Old Friend. That said, they’re not afraid to embrace more futuristic sounds alongside traditional ones, such as on the playful Eschaton where the electronic melody put me in mind of Owl City. However, what ties the whole album together is the band’s utterly gorgeous vocals. With no lead singer, their voices blend together wonderfully to create a lush wall of sound. It makes the album really immersive too, placing more emphasis on the imagery of the lyrics in songs such as The Rabbit And The Pointed Gun and Indian Orchard Road. For me the standout track on the album is Lindisfarne. The band’s smooth and clear vocals glide effortlessly over the stripped-back melody, allowing them to really stand out, before a lush string section comes in halfway through. It’s a song that leaves you wanting more and a shining example of how a great song doesn’t need too much production to still have an impact. The album closes with Best Of The Best Of Times. It’s got a slightly more poppier vibe than the other songs, with the sunny melody contrasting its slightly downbeat lyrics, and feels like a slightly odd way to end the record. That said, the changes in tempo and distorted guitars midway through seem typical of the band’s desire to keep things different and constantly surprise the listener. Overall Darlingside have made an eclectic album which draws on a wide variety of musical styles but still manages to maintain a modern feel. Although it can feel a little samey in places, their solid harmonies and strong sense of how to tell a story mean this is a record worth listening to. It won’t be everyone’s cup of tea, but it’s certainly an intriguing spin on the folk genre.